Eventfully Yours: Seating Plans - Open or Assigned? Seating Plans - Open or Assigned? Sure, there are some events that name cards aren't appropriate for, but for some I think there are. So, what do you think? 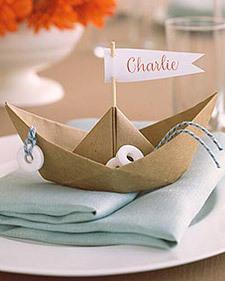 No place cards at a wedding...good idea, or maybe not such a good idea? Cute blog btw! If you ever need guest posts written let me know...I have a lot of experience in the wedding world. If guests are sitting at random,one has to know that the group having pre-dinner cocktails who are having SUCH a good time reuniting/binding, are NOT going to be happy when they are forced to split up: And that ALWAYS happens because they are the last ones to go into dinner! On the other had, if you are balancing the tables and pre-planning your seating, one small last minute cancellation will throw things annoyingly out of whack! Especially if the table numbers are inscribed INSIDE the place cards (displayed, for example on a message board, or at the pre-reception or registration table...)Things to contemplate!.